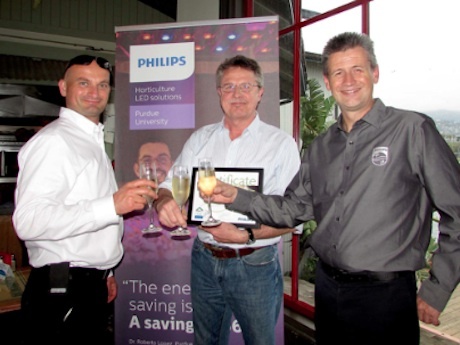 To further broaden its offering for customers in North America, Philips Horticulture LED Solutions, the leading provider of LED lighting solutions for the horticulture industry, today announced the addition of three new certified Horticulture Partners. 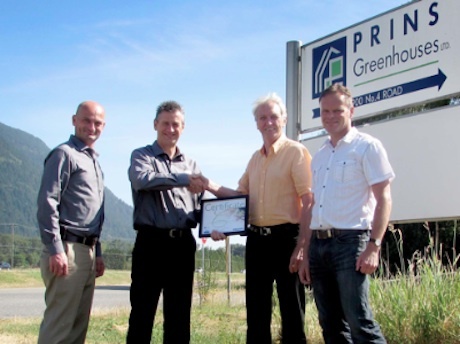 AgriNomix, Total Energy Group (TEG), and Paul Boers Ltd. Prins Greenhouses bring a wealth of expertise in greenhouse automation, energy related technologies, and greenhouse design and construction to the Philips Horticulture network. The unique collaborations between growers, researchers, Philips, and its LED Horti Partners allow the company to offer tailored solutions that fit the exact requirements of growers across the horticulture spectrum. 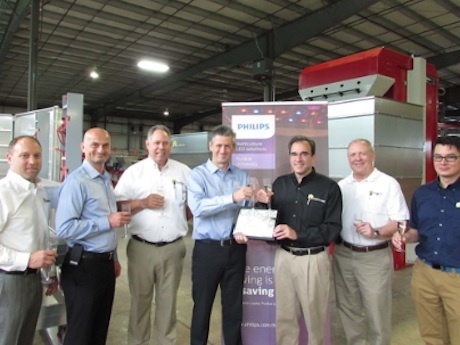 Employees from the new Partner companies were recently trained and certified by Philips at a training session in Oxnard, California. The attendees received extensive training on Philips LED products, in-depth information about light characteristics and the impact of light on plants from Philips Plant Specialist, Dr. Abhay Thosar, and technical training from Philips Application Engineer, Rachelle Winningham. The Partners now have the required knowledge to advise growers on horticulture LED solutions and will be further supported by a multi-functional team consisting of a Philips Key Account Manager, Philips Plant Specialist, and Philips Application Engineer. AgriNomix assists nursery and greenhouse growers in making their operations more efficient and productive by providing automation solutions that range from stand-alone production equipment to “one-of-a-kind” production lines. As a systems integrator, AgriNomix uses products from over a dozen different leading manufacturers to provide customized solutions for each individual client. The company also manufactures many of its own products at a production facility in Oberlin, Ohio. Paul Boers Ltd. manufactures commercial production greenhouses and greenhouse systems from coast to coast in Canada, USA and Japan. Prins Greenhouses builds greenhouses for a variety of growers, as well as governmental agencies and institutions, and provides turnkey services for all types of greenhouse production. The company aims to combine technology and horticulture into a very workable investment for the greenhouse owner. Total Energy Group focuses on energy-related technologies inside commercial and institutional greenhouse operations. The company’s range of energy efficient products include shade and energy retention systems, 99% forced air heat and CO2 units, high mass hot water heating systems, and heating pipe insulation. Total Energy Group distributes vent and shade motors, rack and pinions, and computer controls to the greenhouse industry.